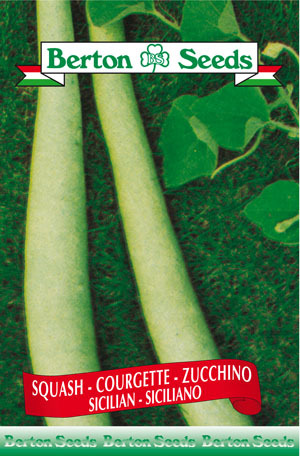 The fruits from this type of zucchini are light green and very long reaching lengths of 6-8 feet. Plants are usually staked in order for the fruit to grow straight. Sowing instructions: Plant seeds 1 inch deep indoors in April or directly outdoors in late May-June. Space plants 24 inches apart and rows 48 inches apart. Harvest August-September.